I wonder if there is any chance to add to the development road map, the option to group devices by category or sort by status like connected/disconnected. I know your busy with a lot of other things, but these missing features are becoming more important with the increased number of devices in the platform, so better now than after. Greatings to Nadzeya, Alexander, Aliaksei and all of you that support me. 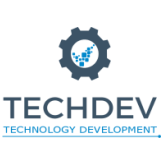 techdev, thanks for the feature request. What kind of GUI you are talking about? flespi has plenty of them. Read more information about the call itself and FAQ section in flespi REST API, you need to understand selectors options. Regarding flespi device itself, we do not plan to add any additional field/category except name there as all these fields are out of the backend and depends on the project you are using flespi with. techdev, I will forward you wishes about filtered devices count number to appropriate developer. Regarding other wishes - flespi.io is just a control panel over backend, main GUI tool is a toolbox that is used for diagnose the issues with devices, channels, streams. We have a in plans to develop nice feature-full device management GUI, but this is not earlier then next year and not in the priority list. At the same time good GUI is extremely important, especially talking about growing qty of devices. I recommend to you contact our partners and ask to quote for the solution. GoldenM is especially strong in this kind of developments and located in your timezone. As I said, this was a suggestion for the Web UI aiming to the new users. We, on the other side as developers have developed our own custom solutions based in flespi and wialon, and also for other partners locally. May be you can add us to the list. techdev, one of the upcoming features for flespi devices is tags - e.g. custom grouping. Once the feature will be added to flespi, panel will by adopted to use it. Probably this is what you are looking to. This will be tightly integrated with Wialon Space tags so that you may use same tags for multiple platforms.